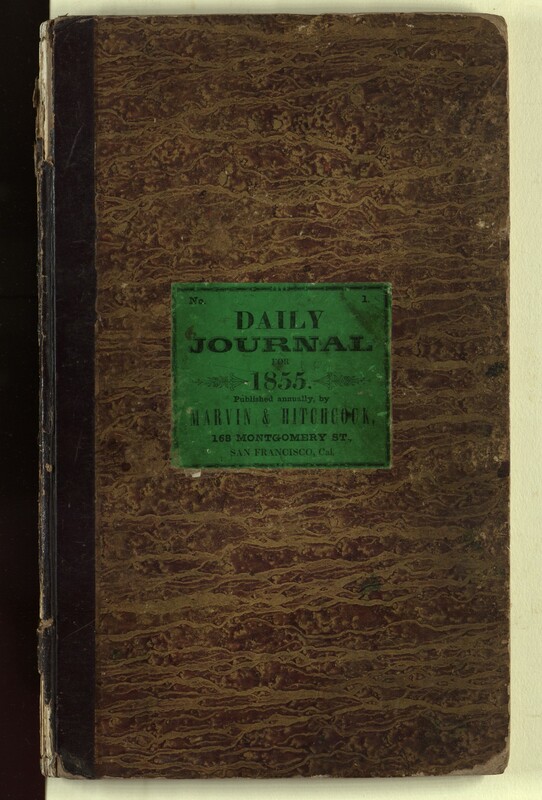 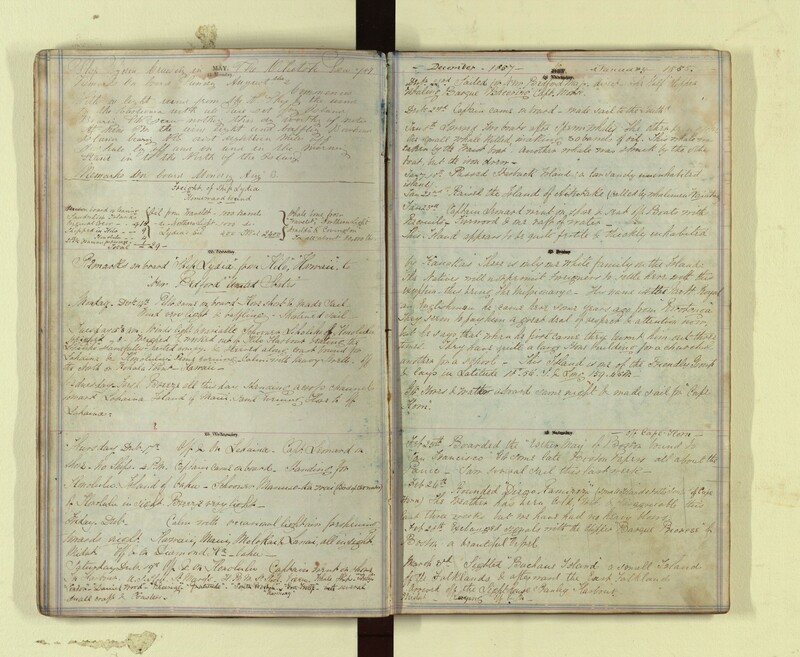 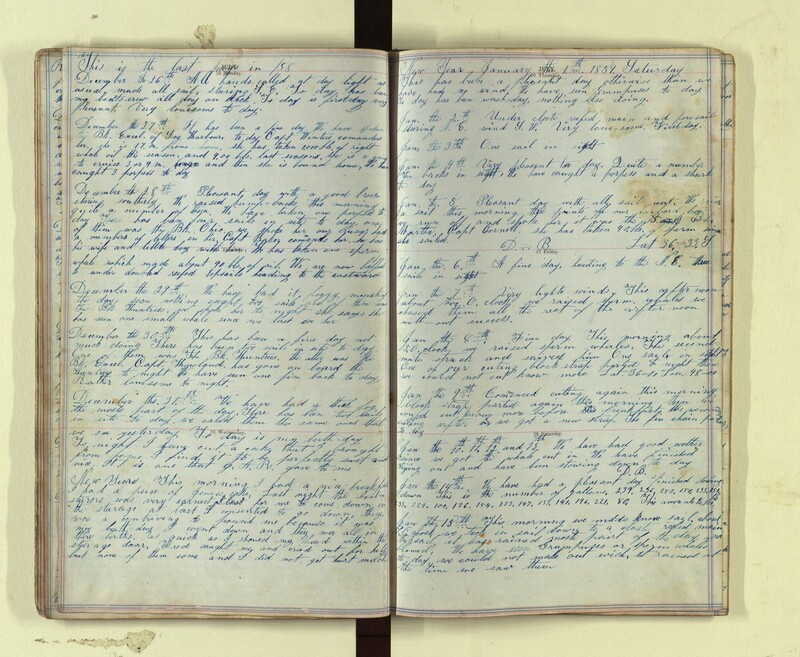 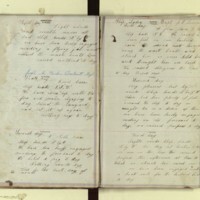 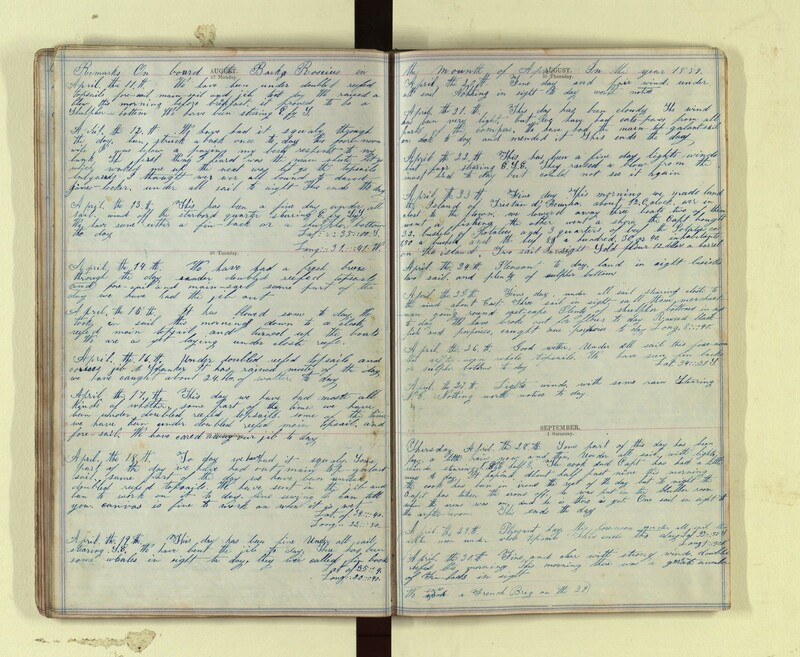 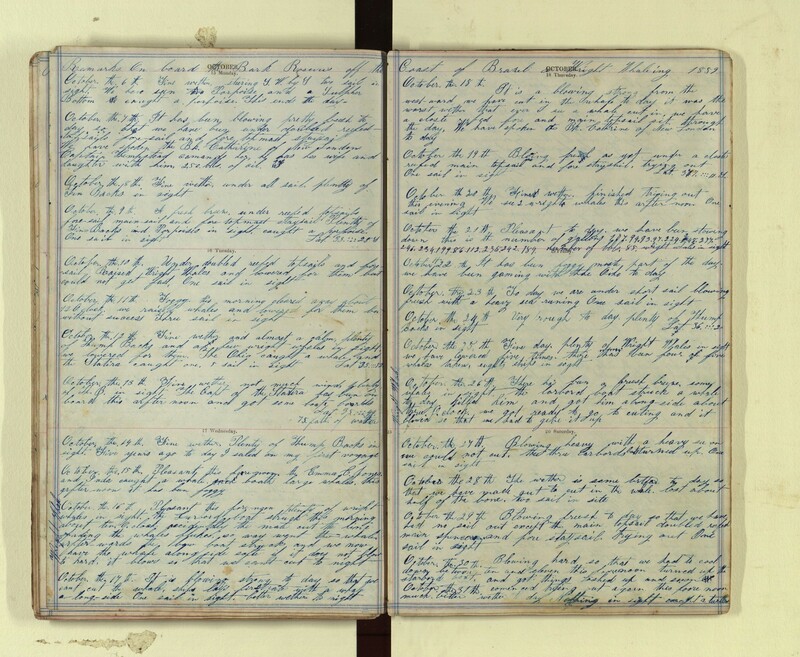 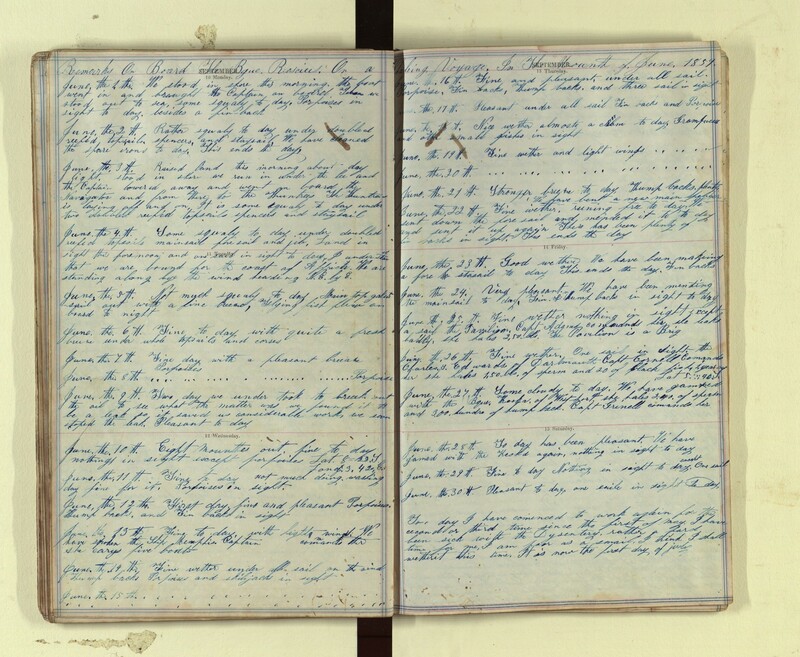 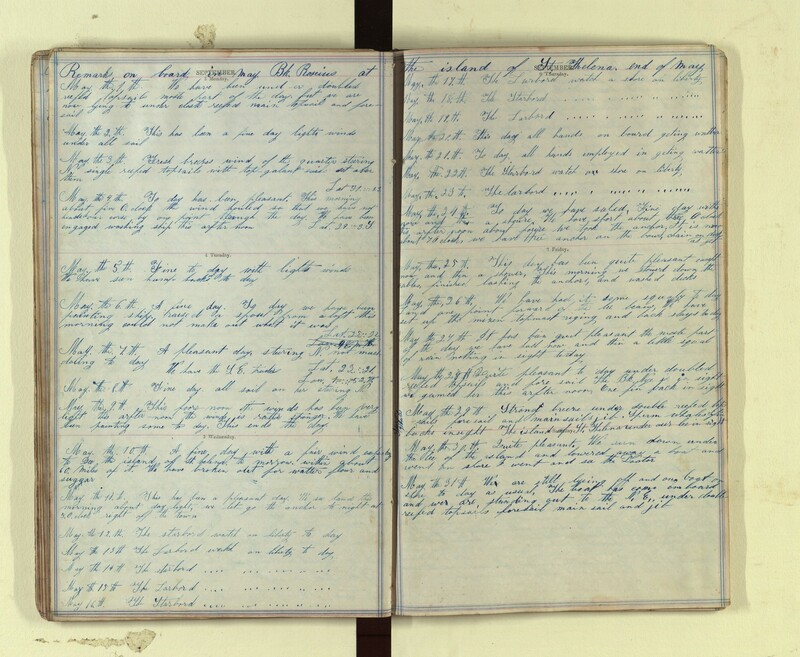 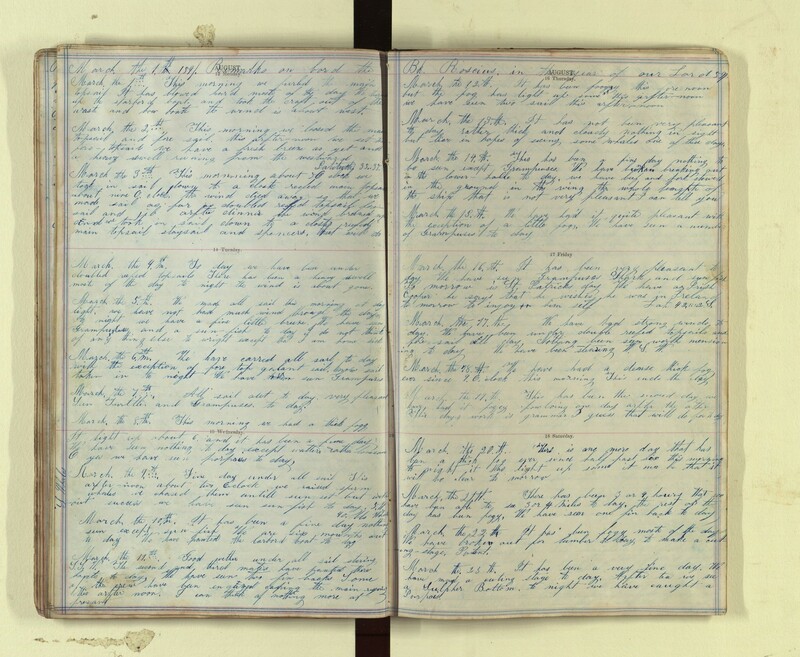 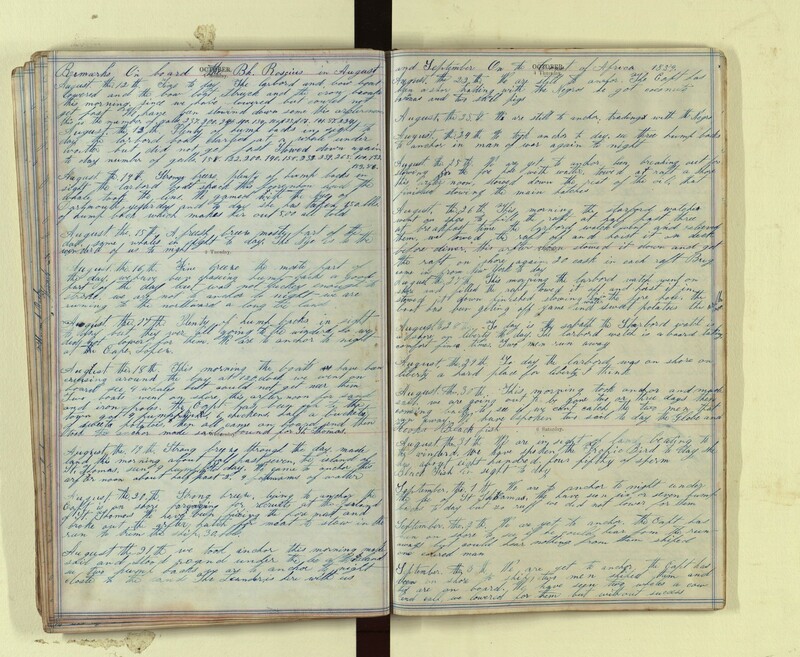 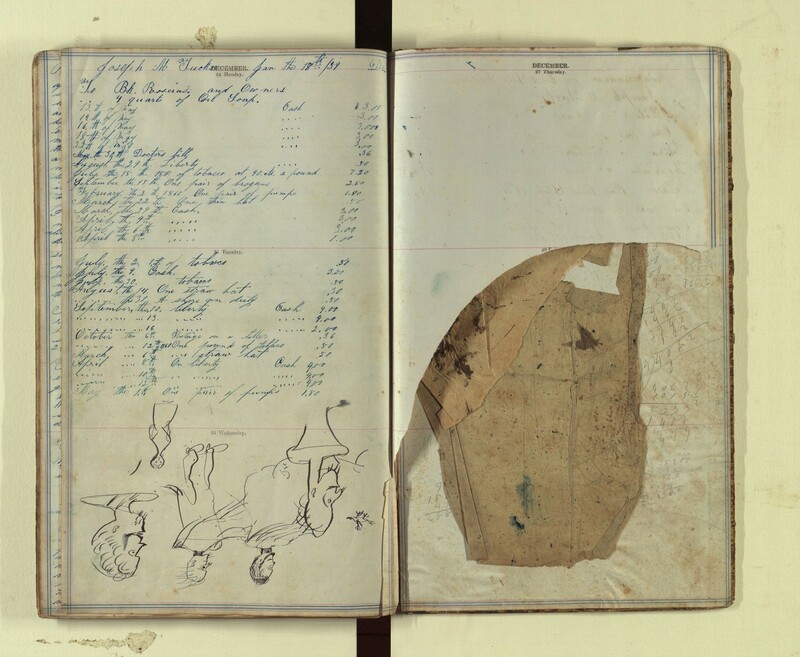 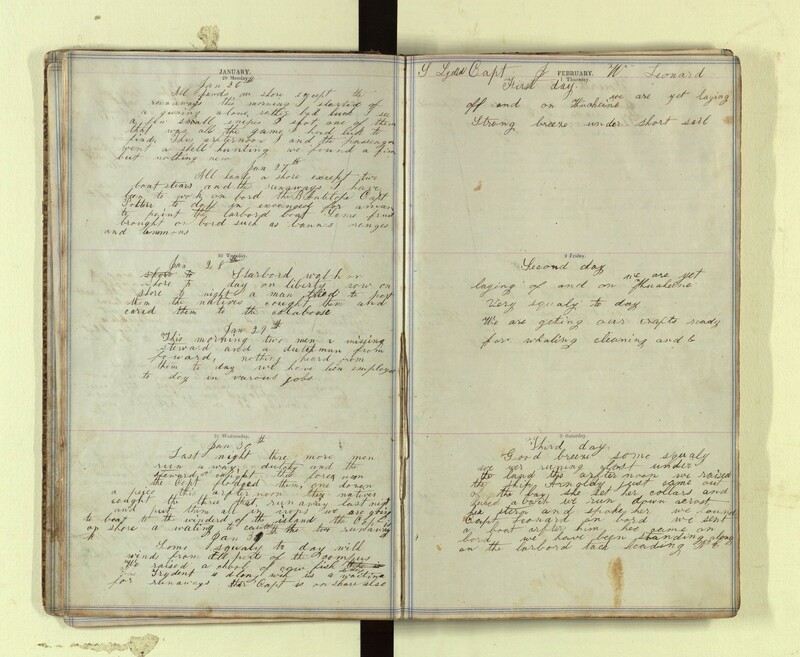 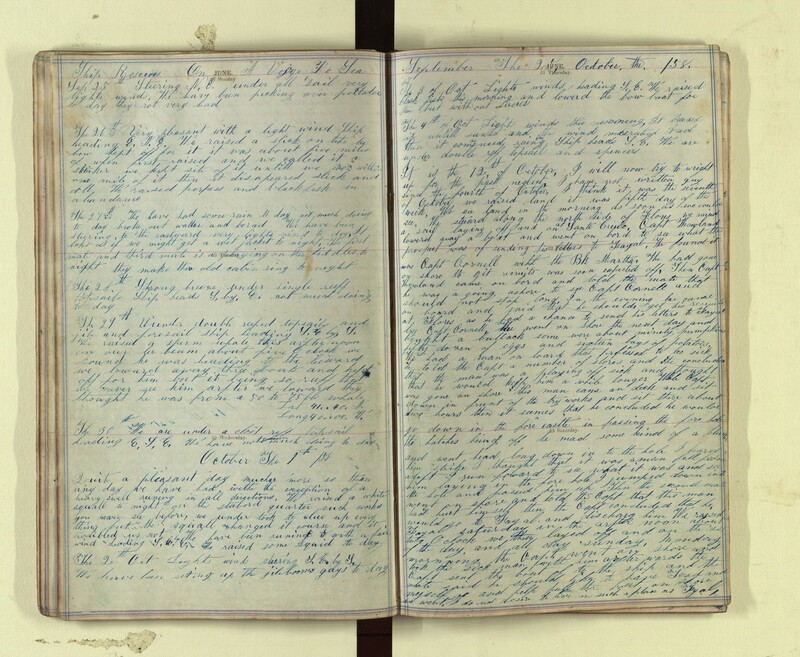 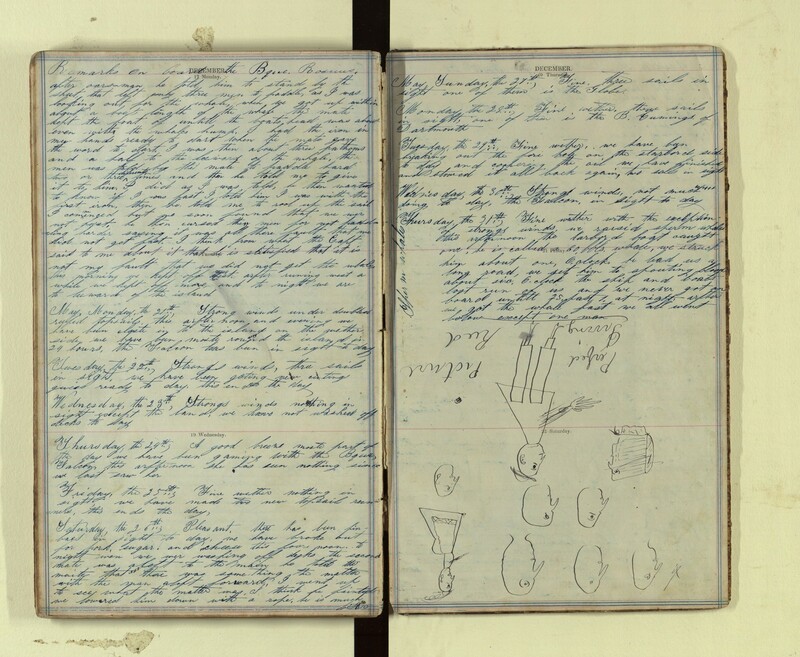 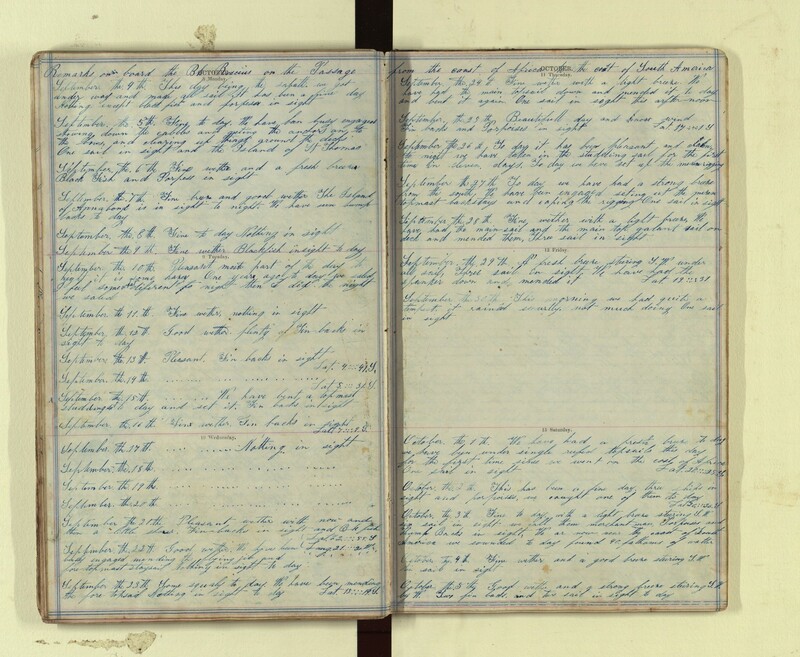 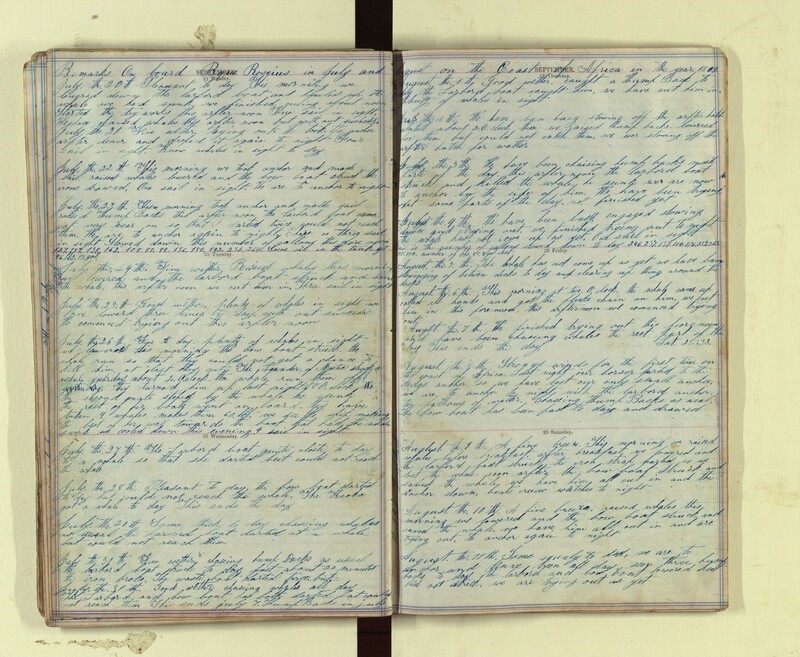 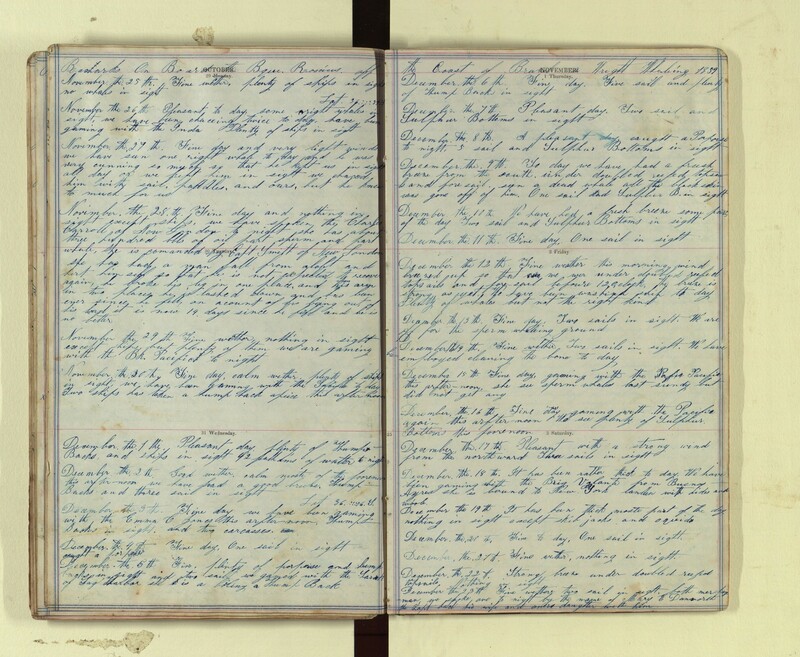 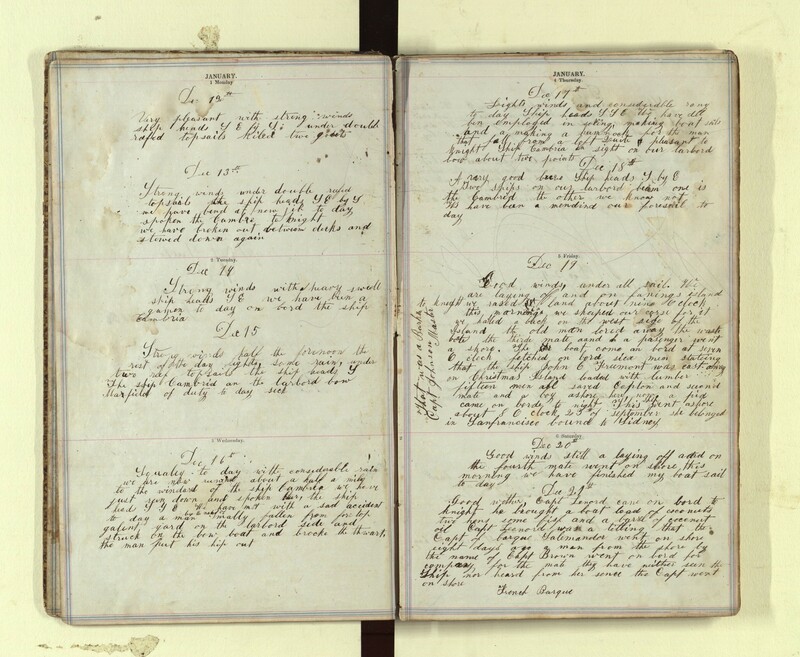 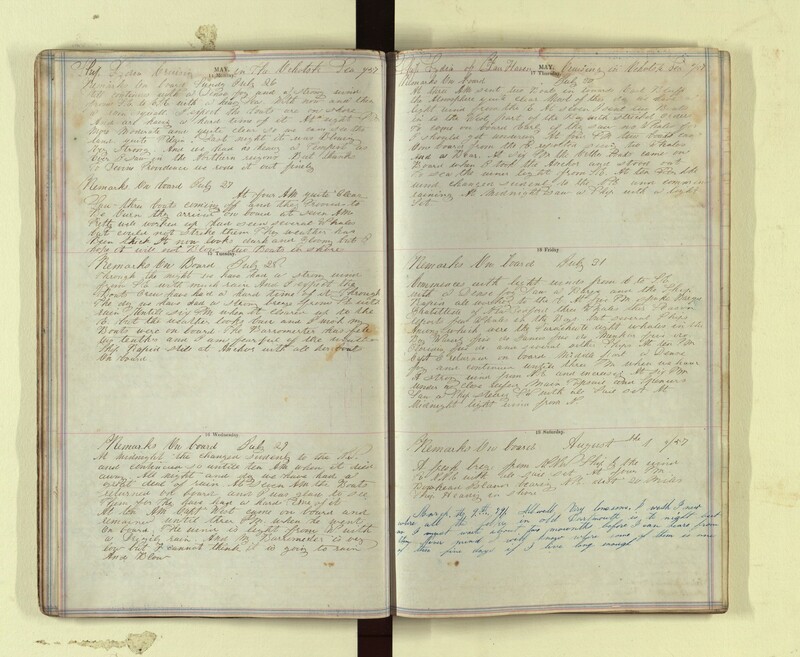 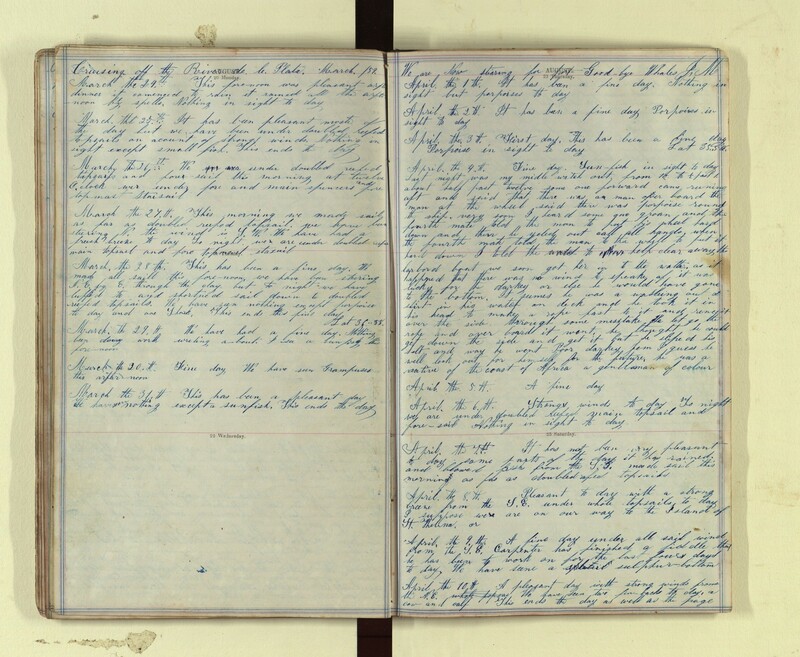 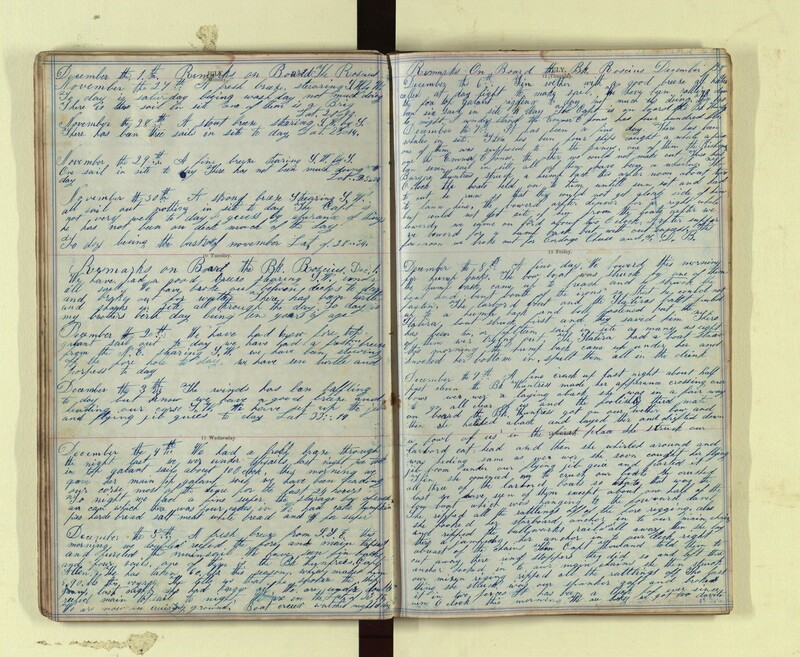 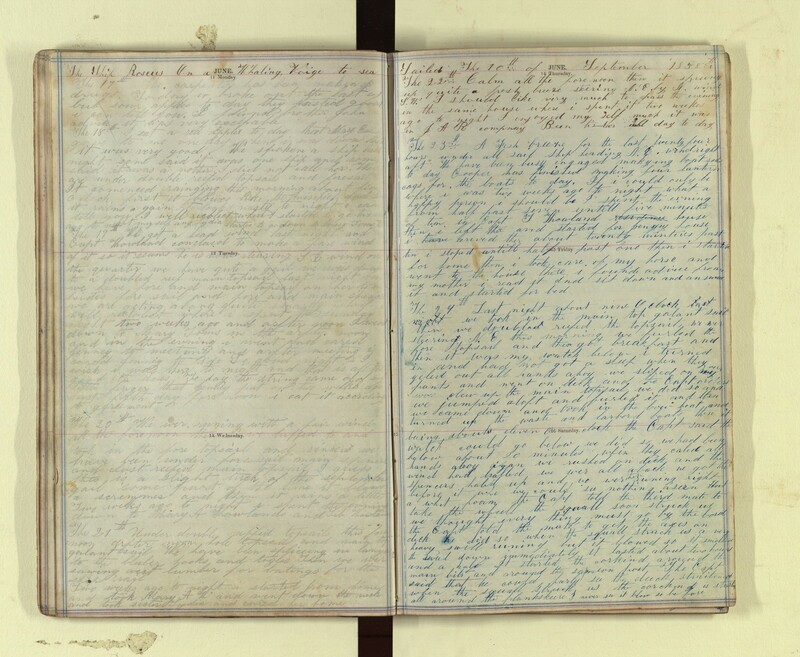 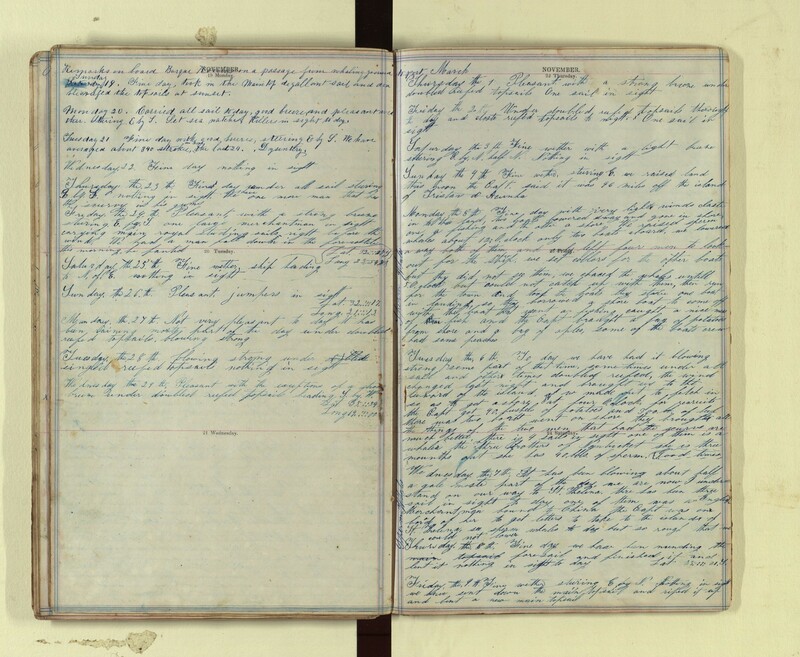 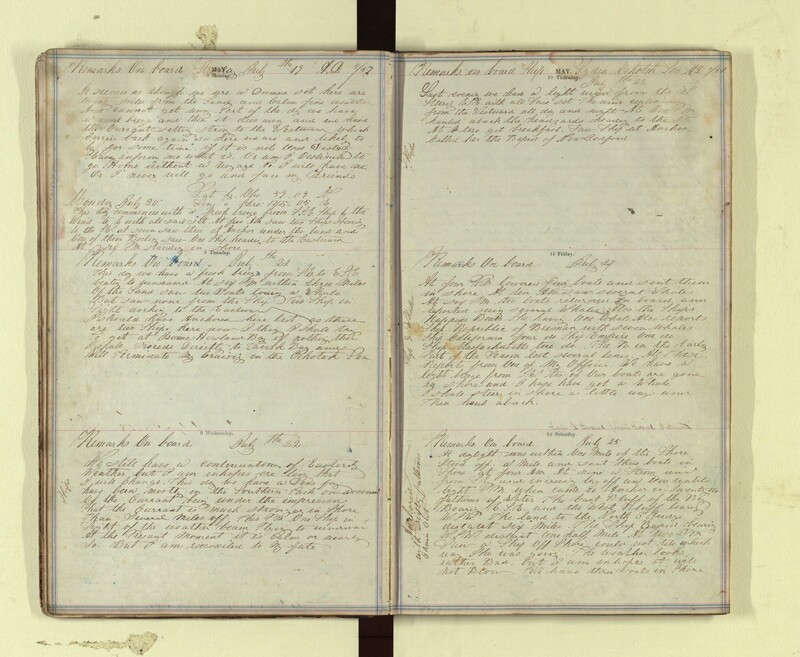 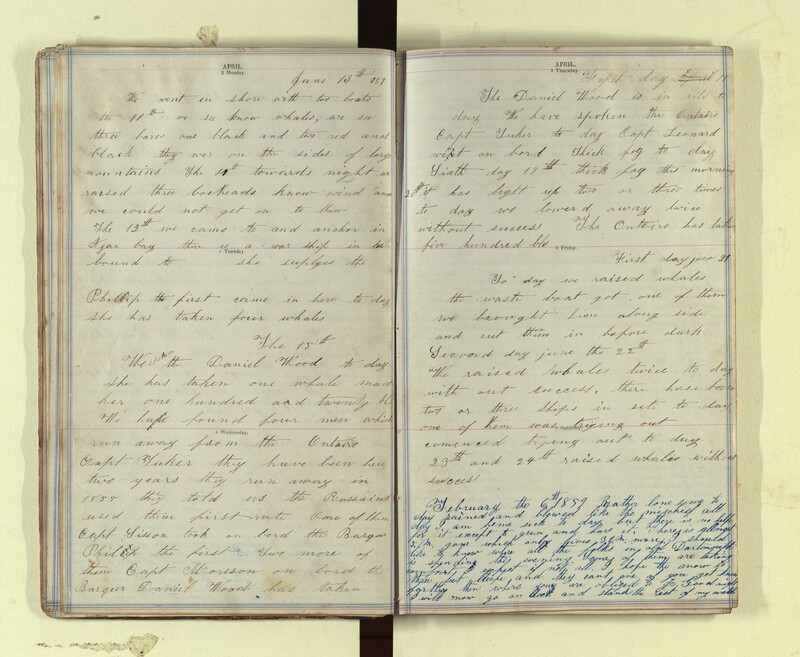 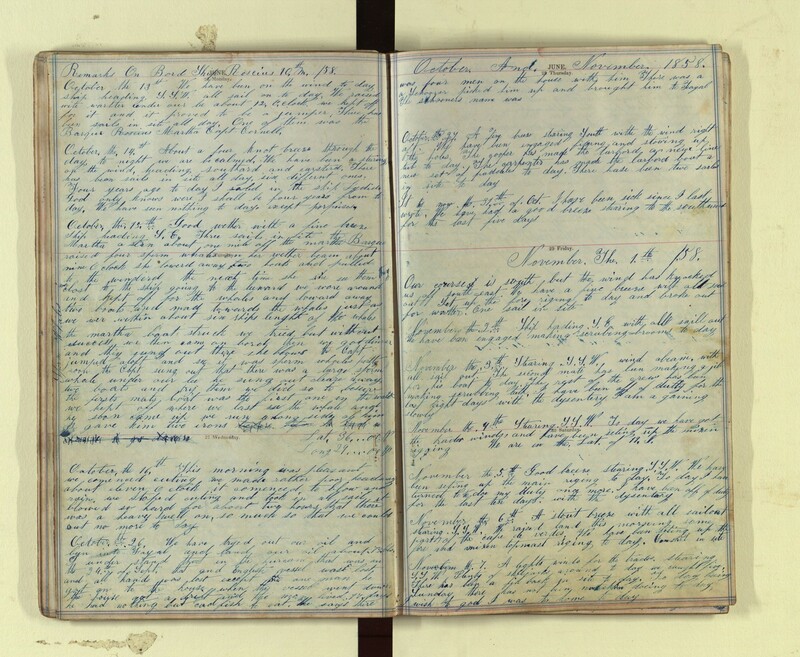 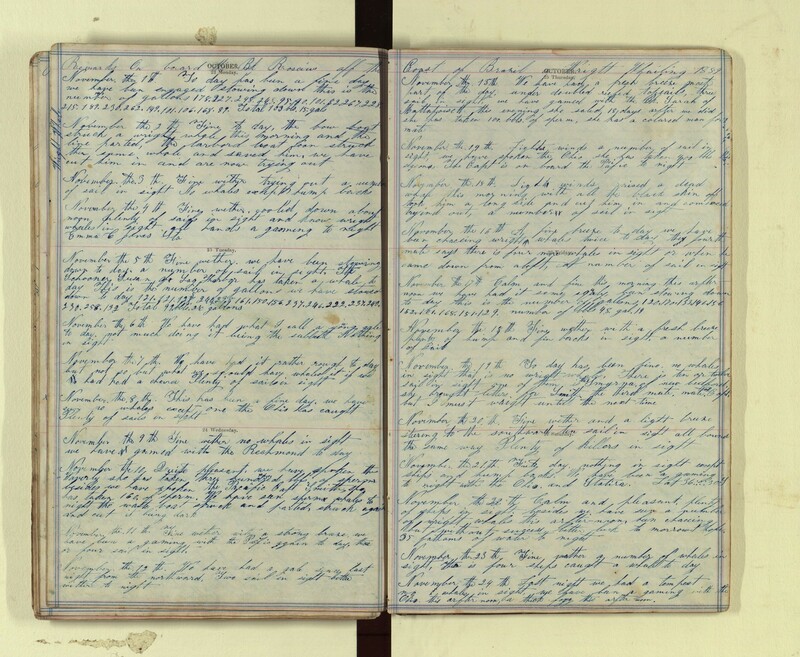 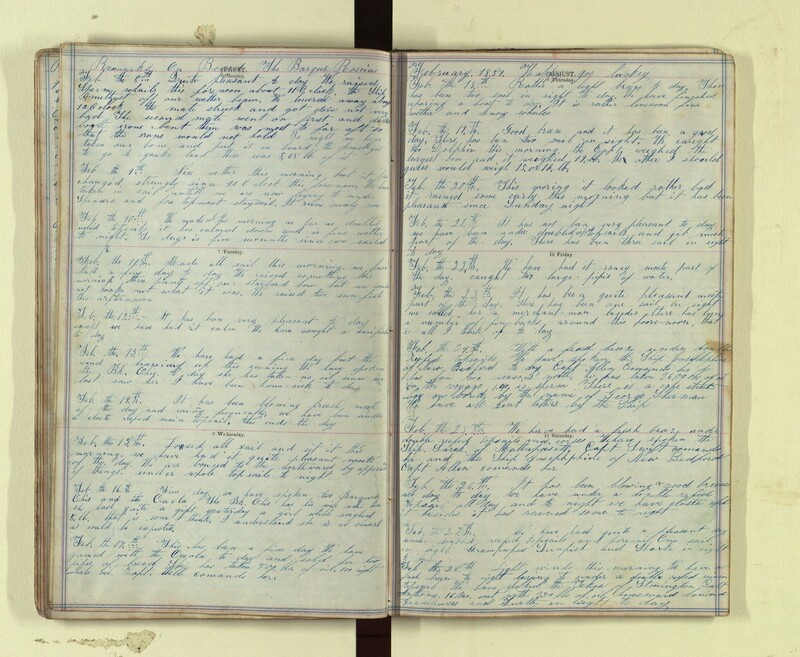 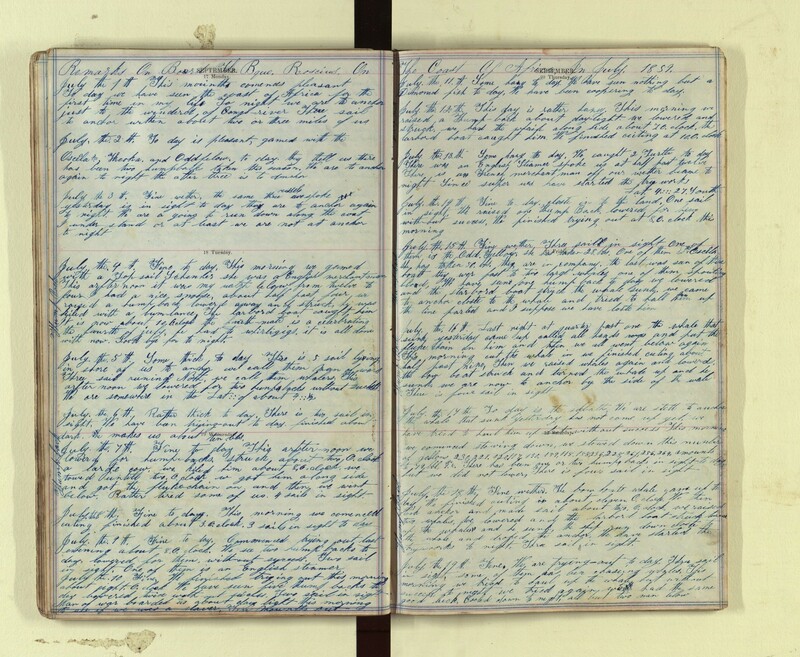 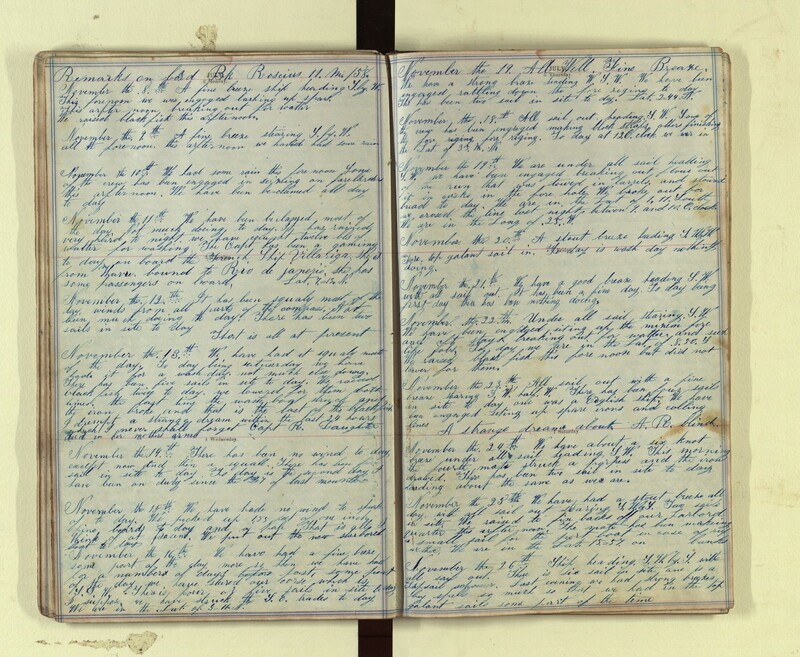 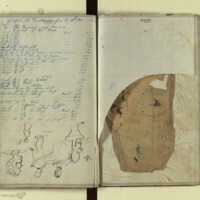 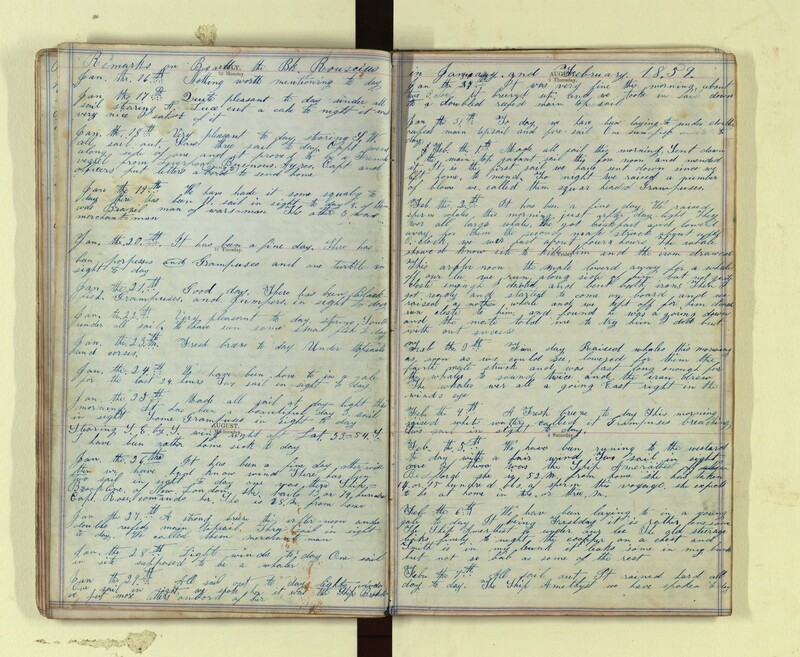 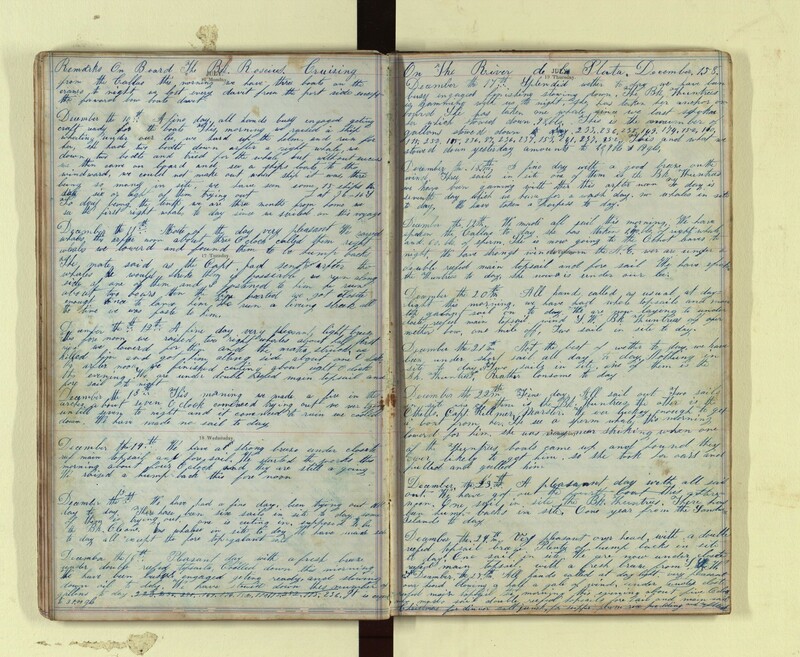 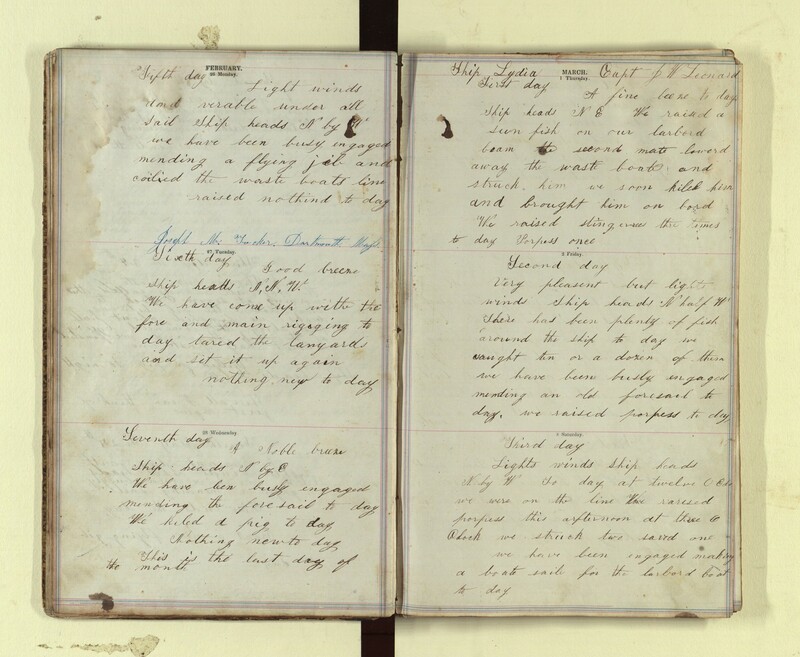 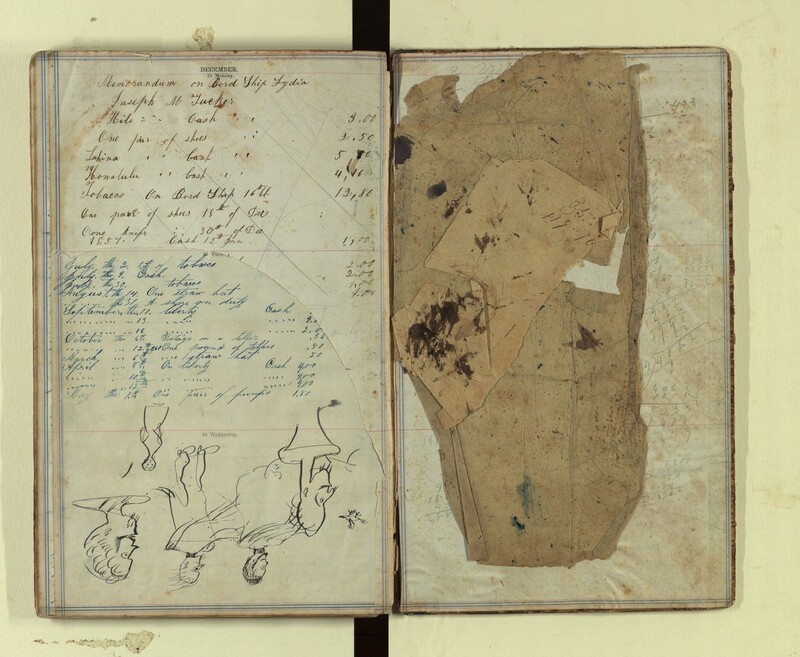 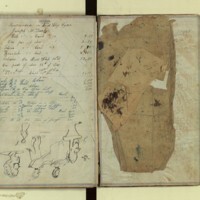 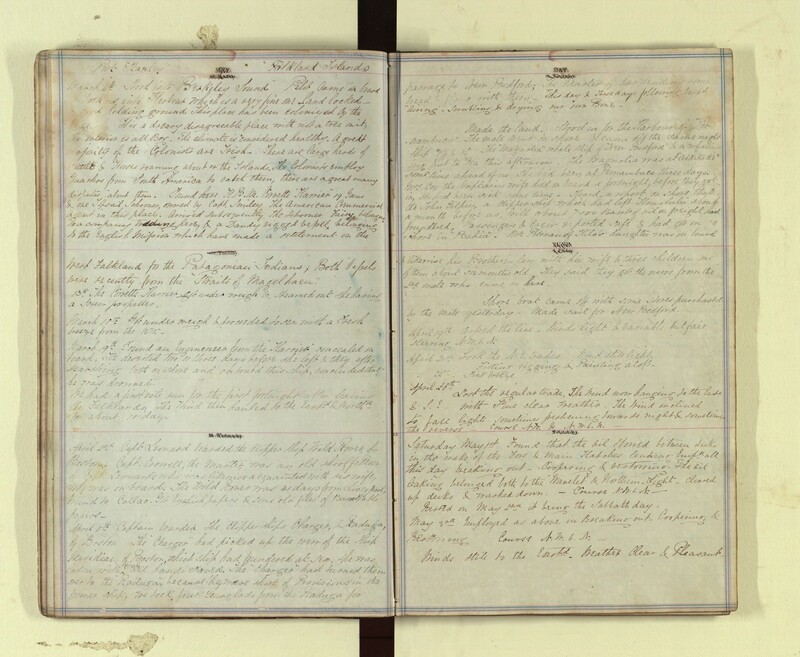 A boatsteerer named Joseph Tucker kept this journal on two voyages: aboard the ship Lydia (1854-58) to the North Pacific and the Gulf of Alaska, and the bark Roscius (1858-61) to the Indian Ocean. 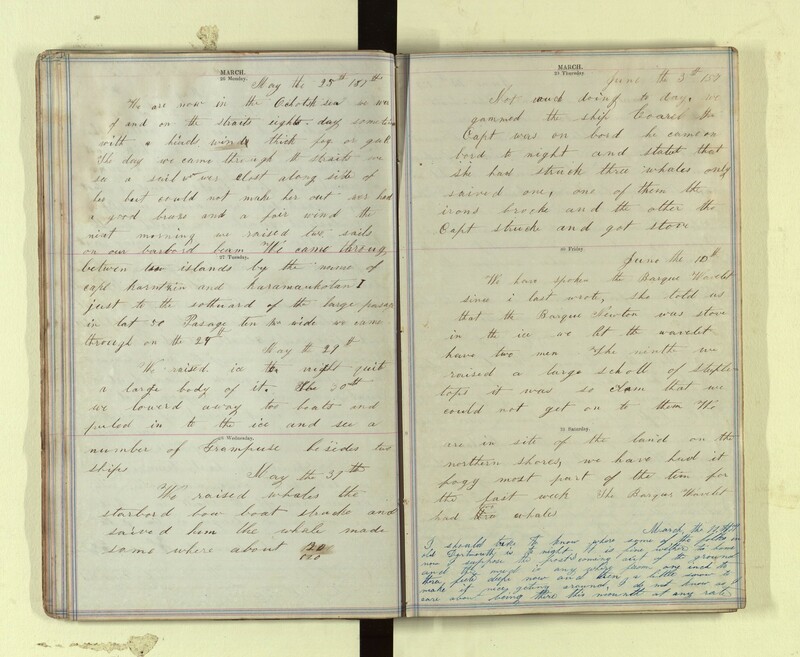 The boatsteerer was one of the most responsible positions on the crew of a whaler—he pulled the forward oar of a whaleboat until it was within striking distance of the animal, and would then cast or shoot a harpoon while a boat handler guided the vessel. Both voyages were fairly successful and eventful trips, and the journal records ships encountered, whale sightings and captures, and personal observations and musings by Tucker. 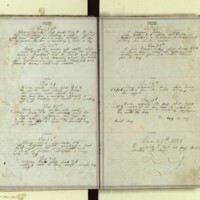 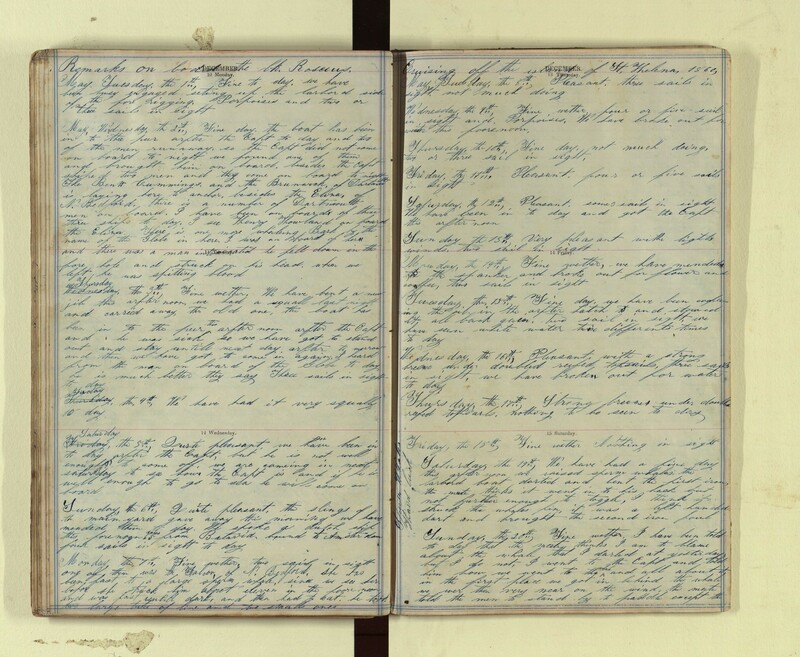 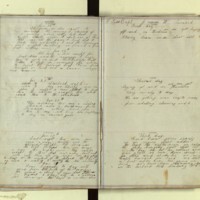 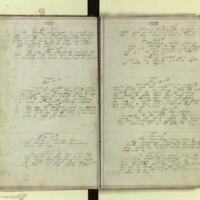 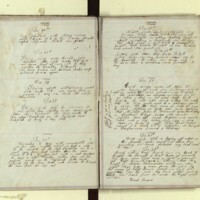 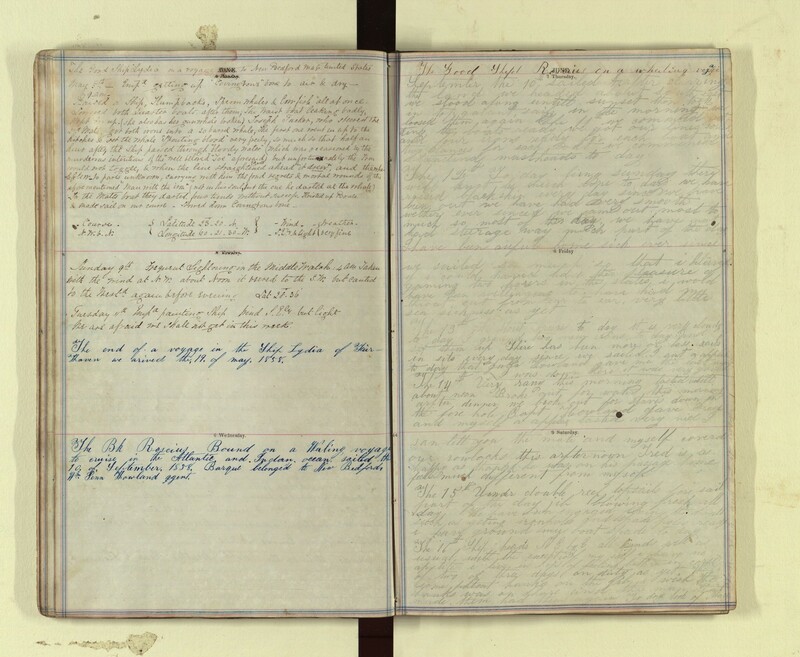 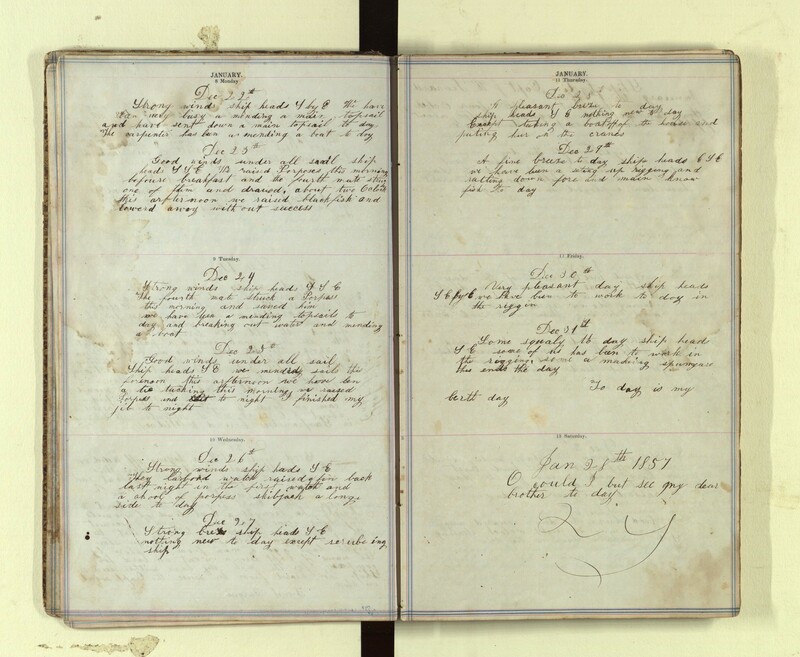 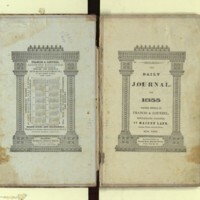 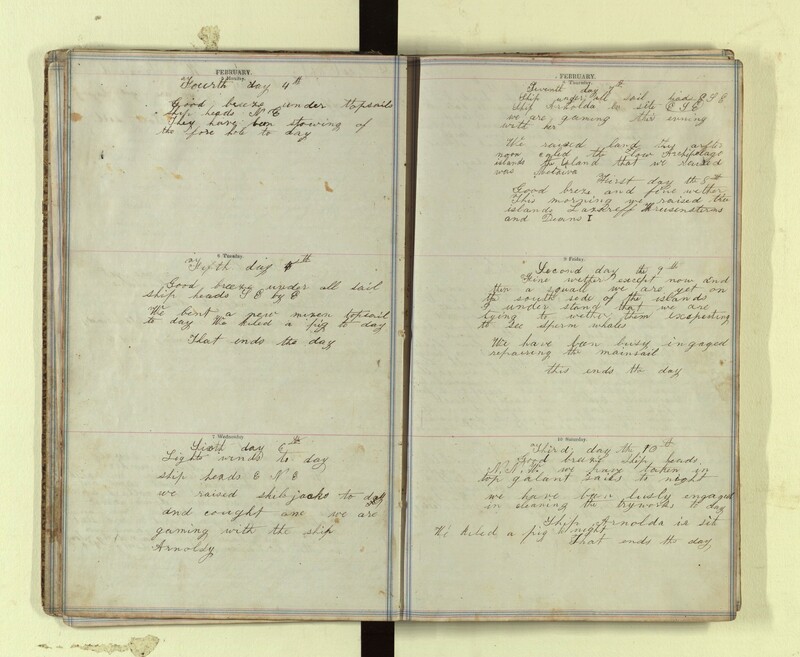 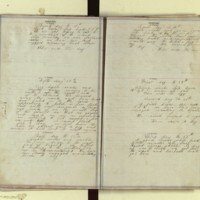 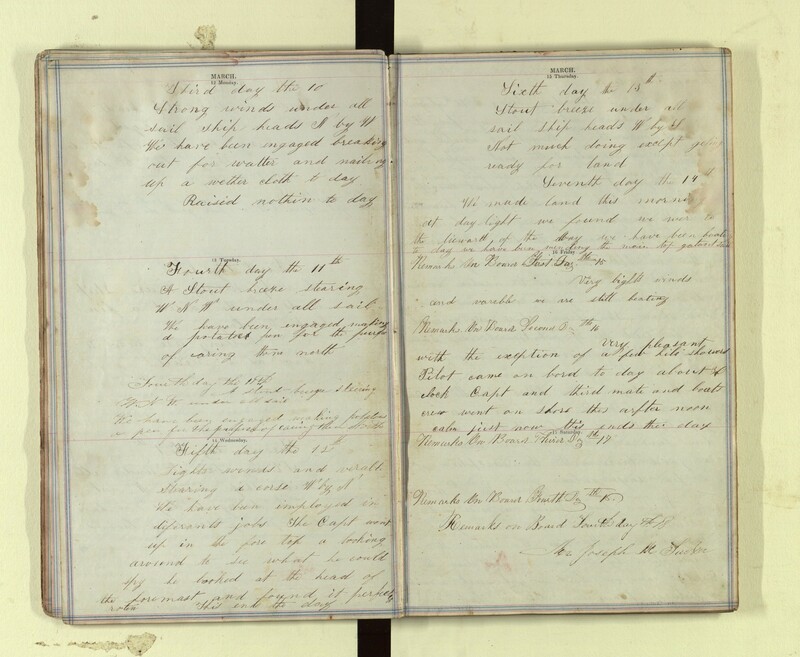 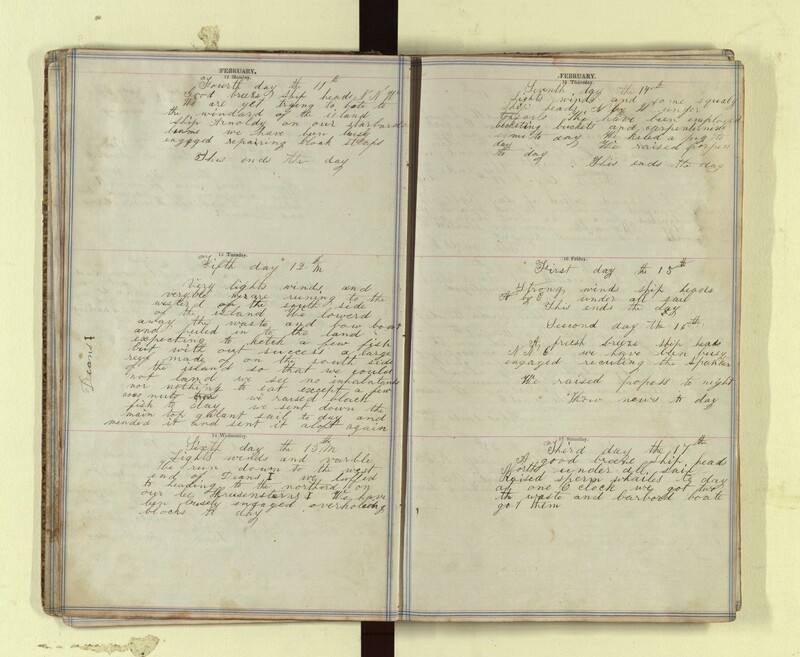 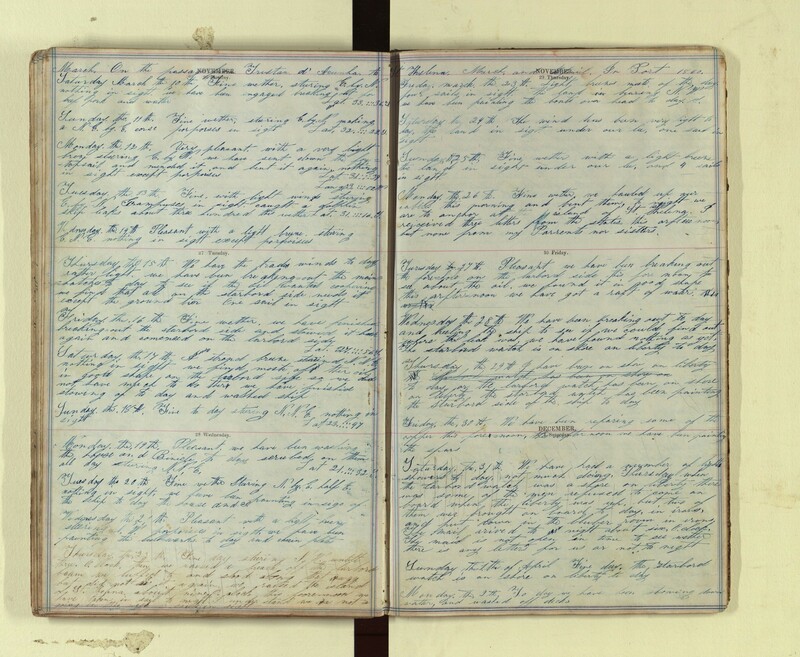 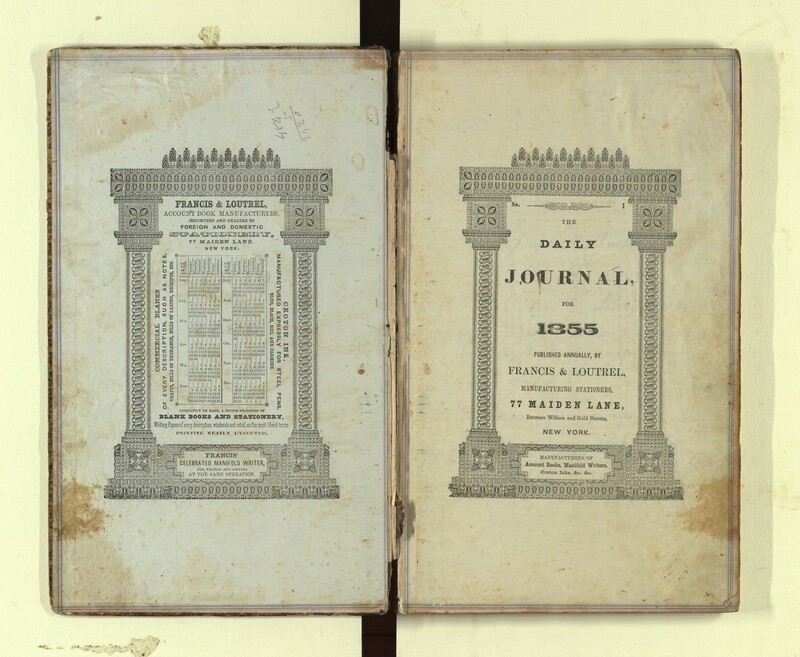 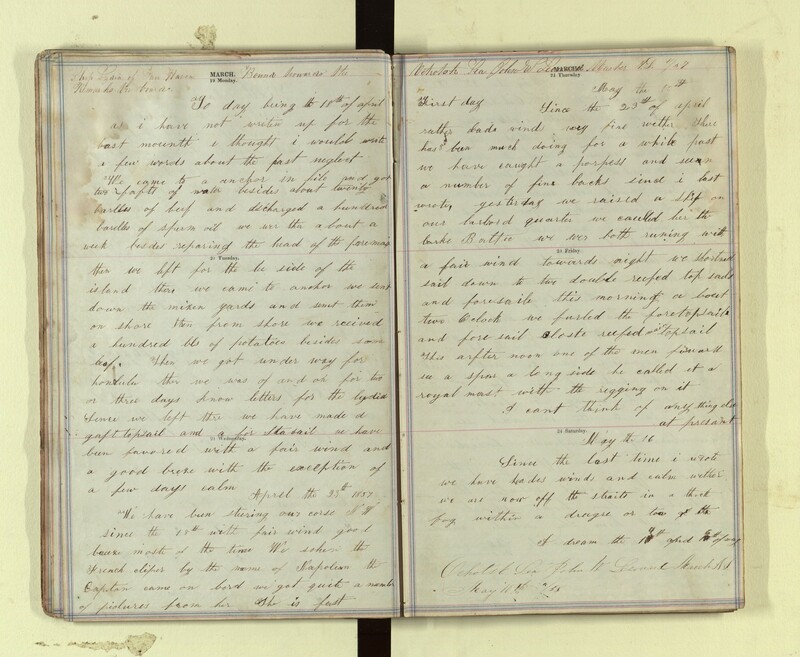 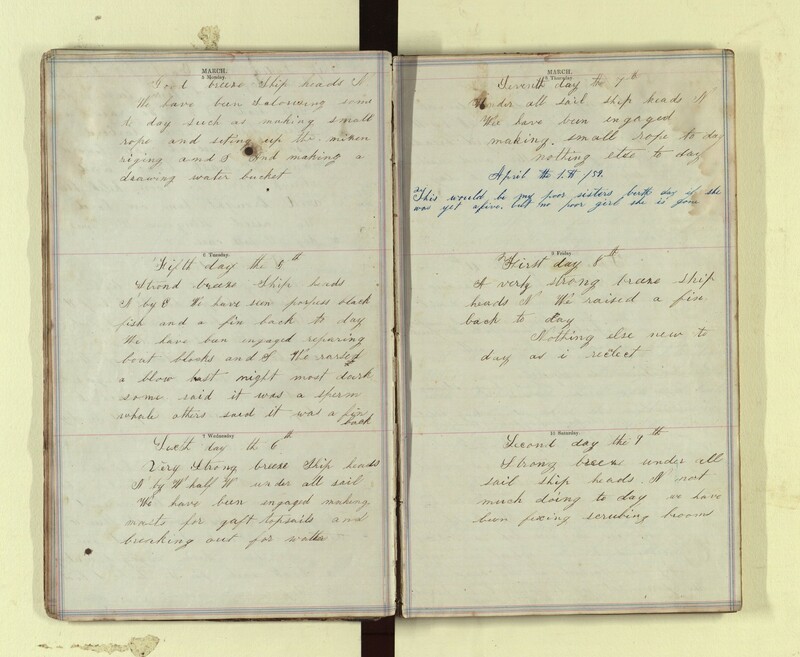 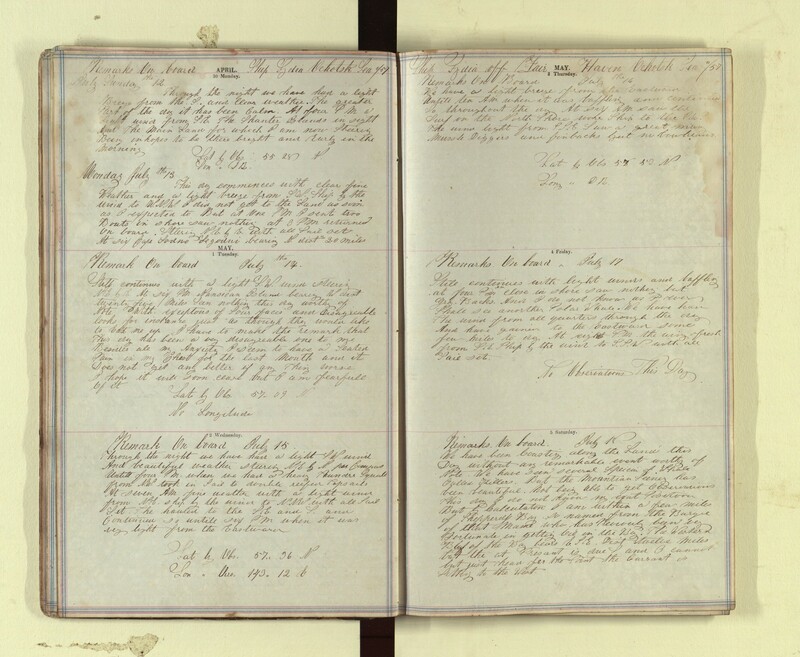 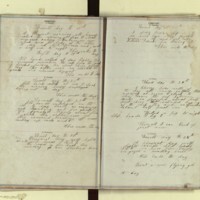 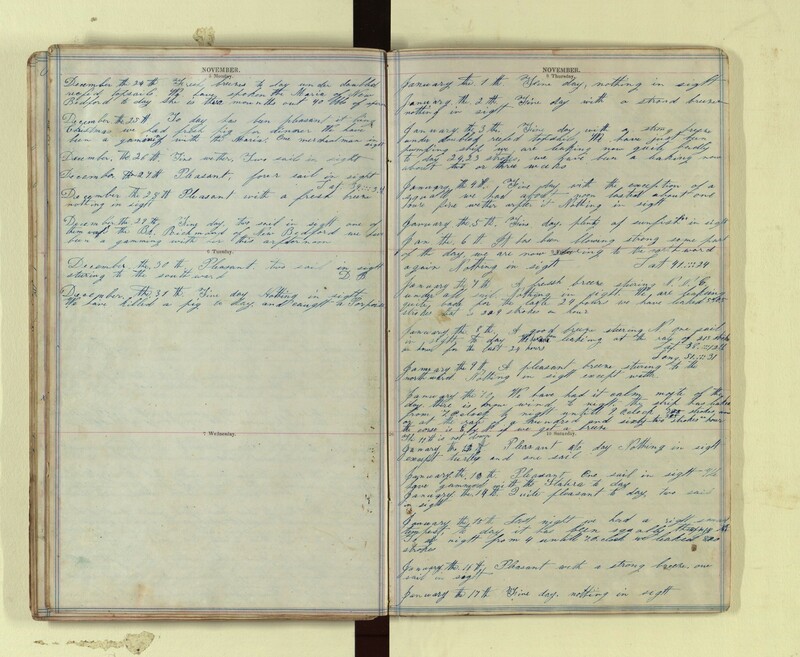 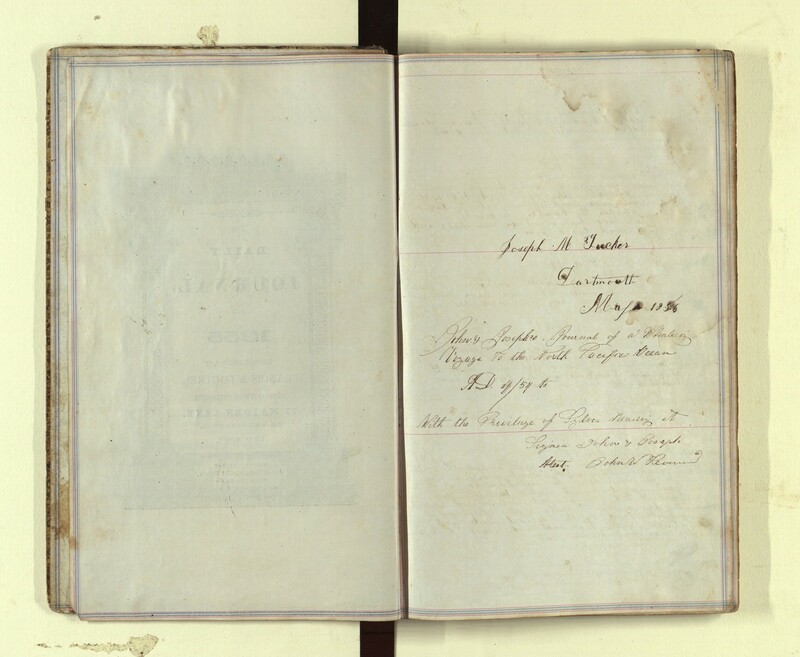 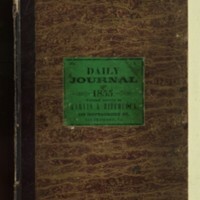 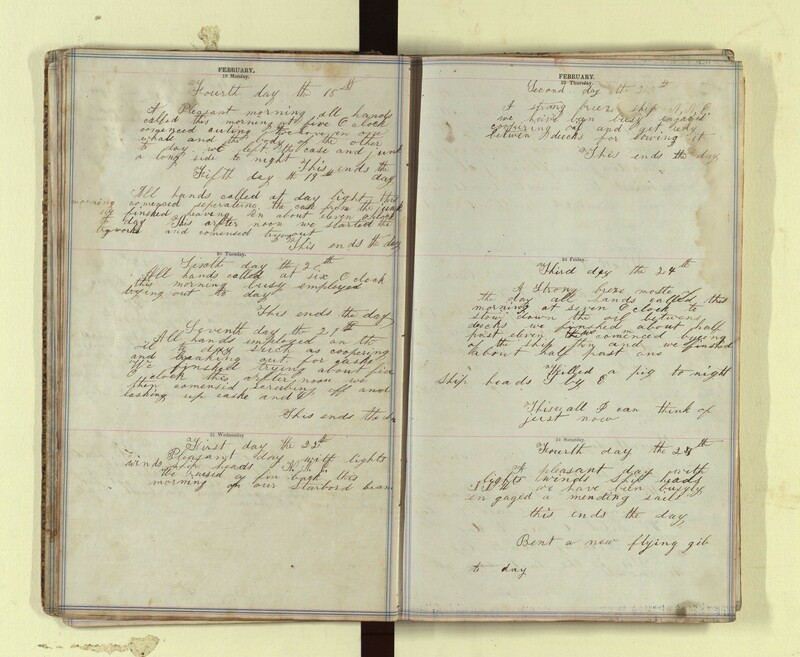 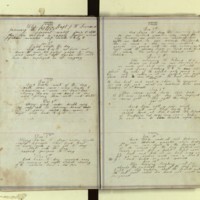 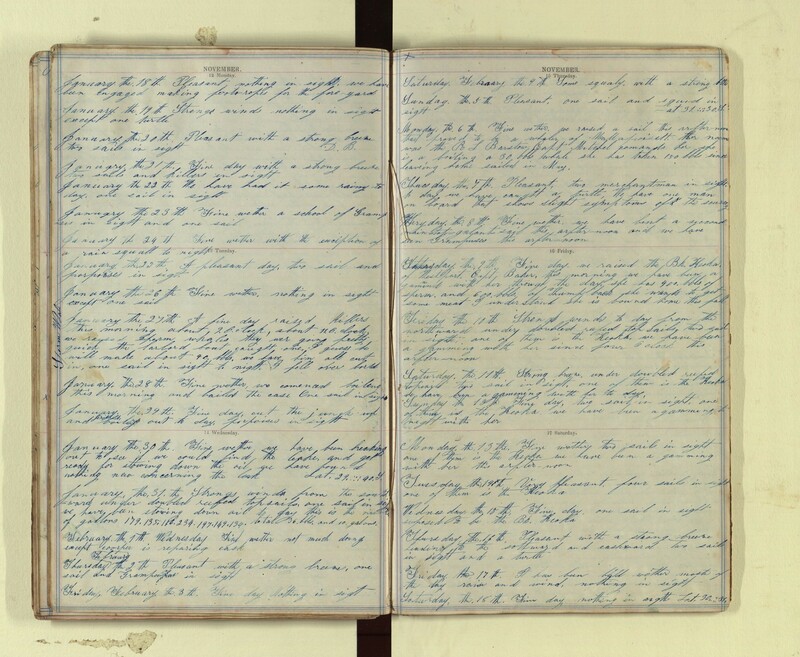 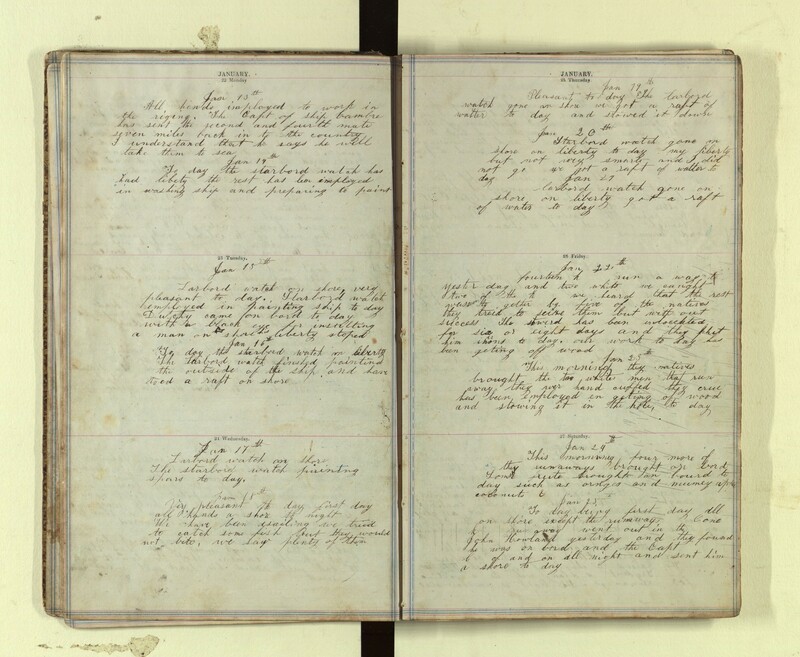 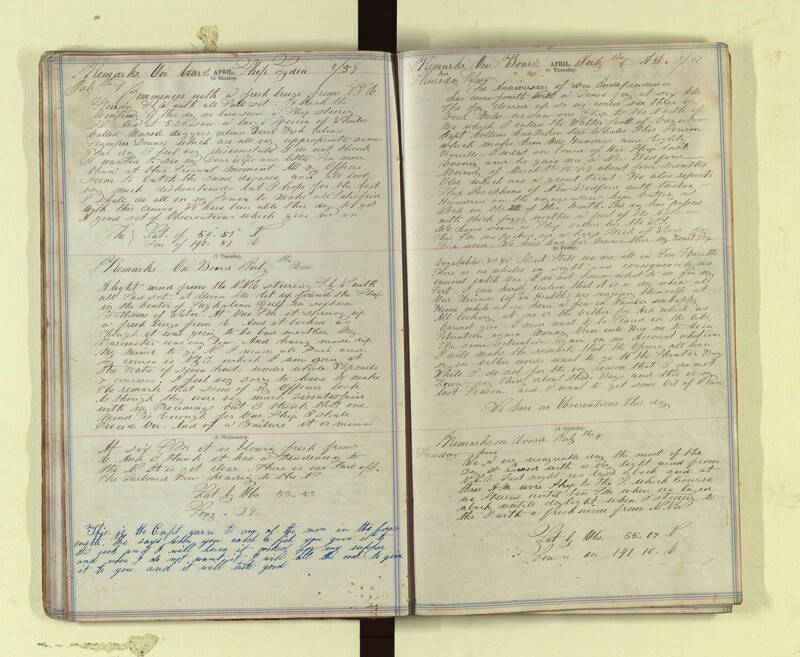 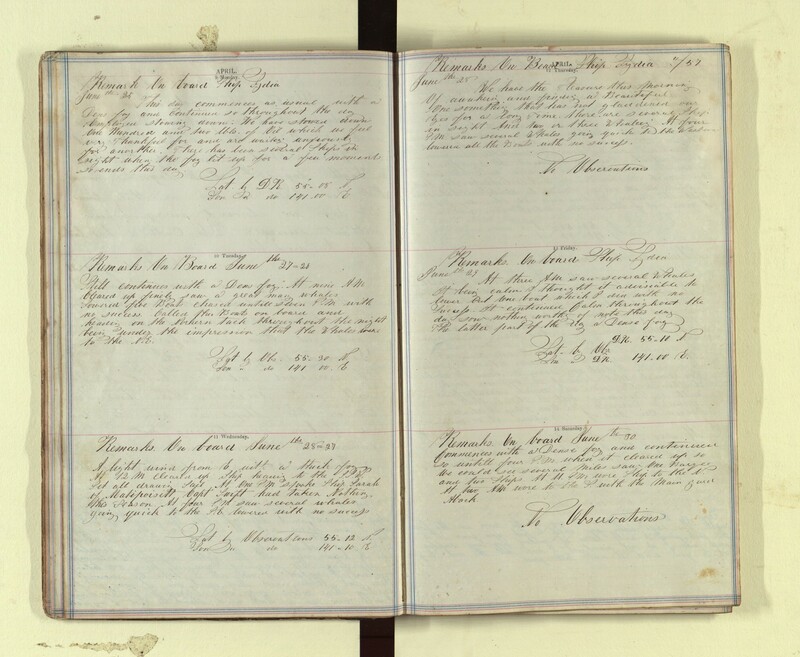 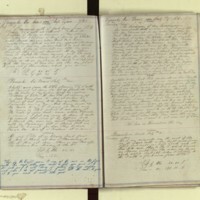 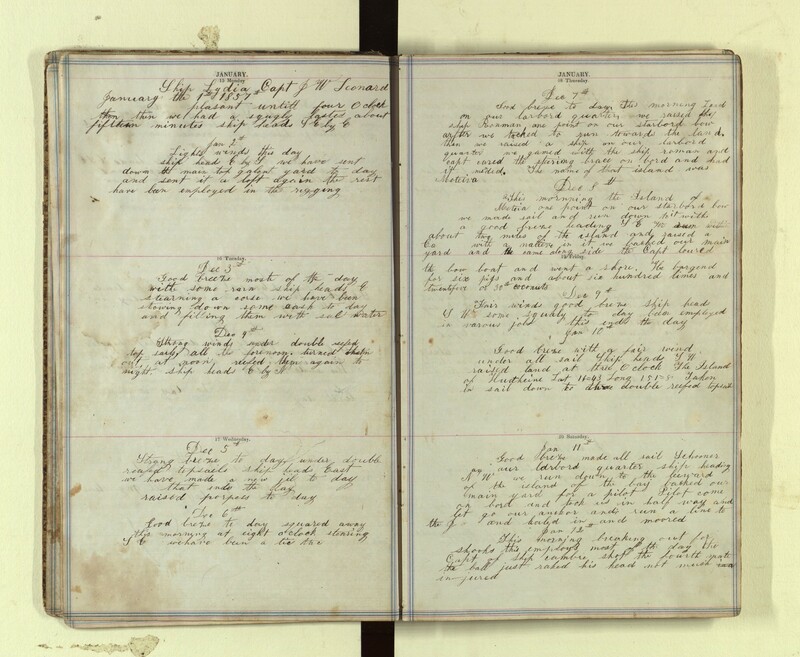 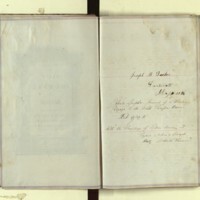 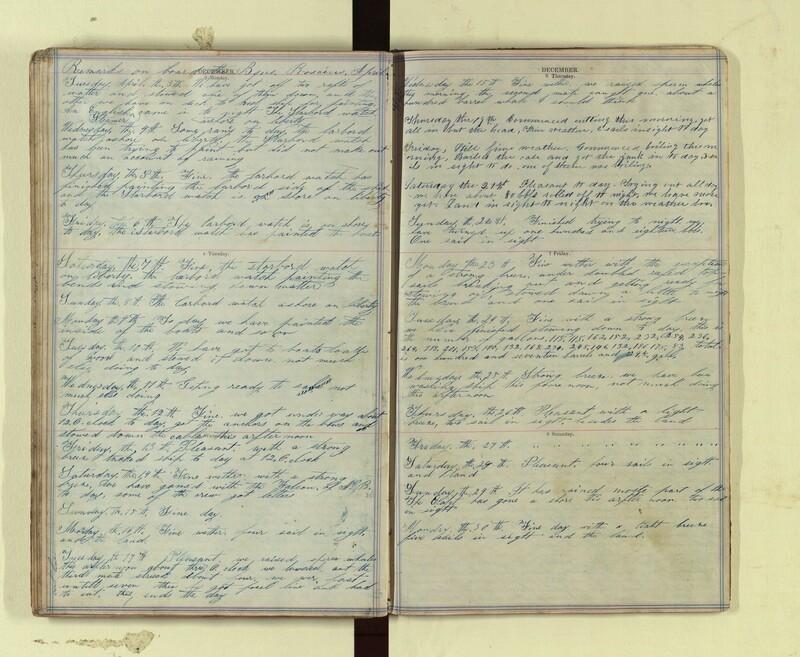 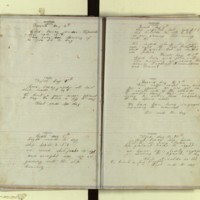 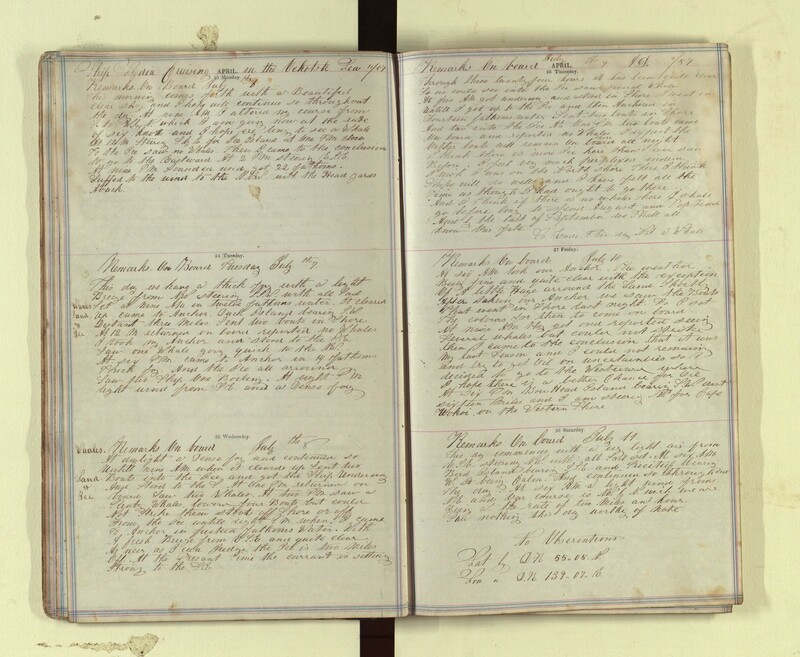 Tucker, Joseph, “Log of the Lydia and the Roscius, 1856-1861,” accessed April 19, 2019, http://pplspc.org/digital/items/show/24.